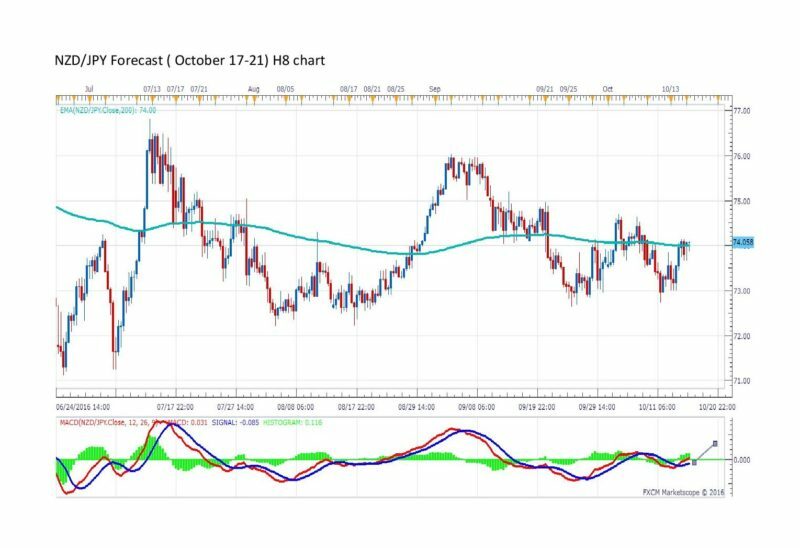 The NZD/JPY currency pair is into an uptrend, according to the daily chart. The price is above EMA 50 (73.92) and the MACD is still positive. The stochastic oscillator also confirms the uptrend. A target in the medium term may be 75.94. At this price a triangle will be formed.The price is above EMA50 (74.00) and the MACD is still positive on the 8 hour chart. Some targets in the medium term may be 76.00 and 77.00.